Final concords (or fines) were drawn up in the Court of Common Pleas at the conclusion of fictitious law suits whose real purpose was usually to effect the conveyance of property, whether a manor, house, farm or whatever. Copies were given to the buyer and seller, while a third copy (the `foot&apos;) stayed in the hands of the court and is thus now in the National Archives. Conveyancing by fine offered greater security than ordinary deeds (which were liable to be lost) and the thousands which survive from the twelfth century to the early nineteenth contain infor�mation about both major and minor families in every county of England, as well as landed estates through�out the country. 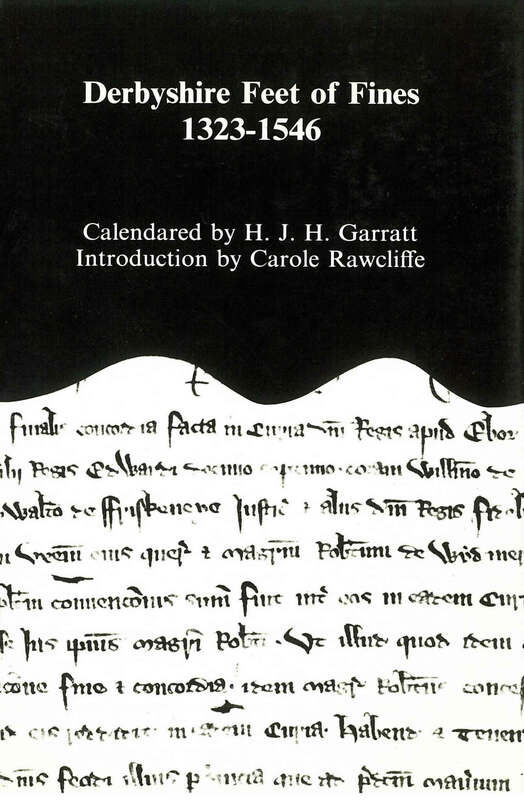 This volume contains full summaries in England of 675 Derbyshire Fines executed between 1323 to the end of the reign of Henry VIII and is fully indexed by person and place. There is an authoritative introduction by Professor Rawcliffe explaining both the process of conveyance by fine and some of the uses to which the device was put, illustrated with examples from this volume. 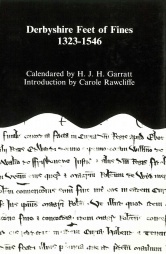 The society hopes at a later date to publish a new calendar of Derbyshire Fines executed before 1323, replacing that published in early issues of the Derbyshire Archaeological Journal. An indexed proof of this volume is available for consultation on request.